Carlo Tavares is reading from Sergio Marchionne’s script. A $45 bln merger would, in theory, deliver massive cost savings which could be invested in new technology. But politics makes that hard. And while PSA would gain a U.S. foothold the Agnellis would be pulled back to Europe. 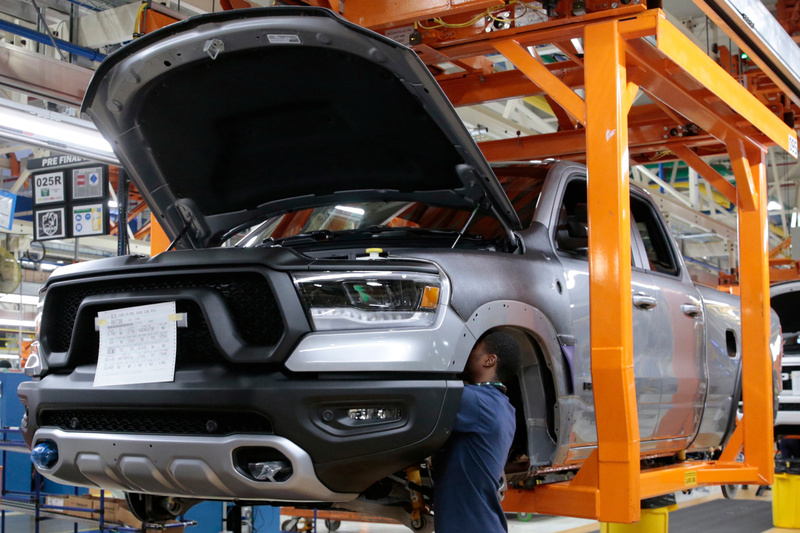 Fiat Chrysler Automobiles assembly workers build 2019 Ram pickup trucks on 'Verticle Adjusting Carriers' at the FCA Sterling Heights Assembly Plant in Sterling Heights, Michigan, U.S., October 22, 2018. French carmaker Peugeot PSA Group approached Italian-American peer Fiat Chrysler Automobiles (FCA) earlier this year with the aim of creating a $45 billion carmaker, the Wall Street Journal reported on March 22, citing people familiar with the matter. Fiat Chrysler rejected the overture, the WSJ said. The companies did not comment on the story. PSA Group Chairman Robert Peugeot told French daily Les Echos on March 19 he would support a deal with Fiat Chrysler. Former Fiat Chrysler boss Sergio Marchionne, who suddenly passed away in July 2018, had been vocal about seeking a combination with another global automaker. The French carmaker acquired in 2017 General Motor’s European business, Opel. PSA Group shares were down 0.87 percent to 21.56 euros at 0846 GMT on March 25. FCA’s Milan-listed shares were down 2.3 per cent to 13.07 euros.